When you think of Medicare fraud, ambulance services might not come to mind. After all, in a life-threatening situation, you’re going to call 911 for an ambulance. You’re not going to think about kickbacks, unnecessary procedures, upcoding, and other deceitful practices happening in the ambulance industry. And yet, ambulance fraud is big business for some Medicare suppliers. It turns out that vulnerability to fraud has always been part of Medicare ambulance transport. Because of that, in 2013 and 2014, the Centers for Medicare & Medicaid Services (CMS) declined to enroll new ambulance providers in two geographical locations. In the first half of 2012, about one in five ambulance companies demonstrated questionable billings and more than half of disputed transports occurred in just four metropolitan areas. In order of the percentage of questionable trips, they were Philadelphia, Los Angeles, New York City, and Houston. These four cities alone accounted for 52 percent of all possibly-fraudulent ambulance transportation, as compared with 18 percent of all dubious billings nationwide. Government investigators revealed in September, 2015, that Medicare paid out more than $50 million based on possibly improper or fraudulent billing from ambulance providers. Included in these payments are $30 million for ambulance rides, during one six-month period, for which no evidence exists that patients received any care at their destination. In 2012, Medicare paid nearly $6 billion to ambulance companies. That’s more money than either cancer doctors or orthopedic surgeons received during that time. With so much money floating around, the possibilities for fraud seem nearly endless. In 2002, an ambulance company paid penalties of $9 million for ambulance fraud, with the whistleblowers receiving approximately $1.6 million. In 2006, this same company paid penalties of $20 million for ambulance fraud. In this case, the whistleblower received around $3.8 million. In 2004, a health care organization’s settlement for ambulance fraud was $20 million. The whistleblowers divided about $2.4 million. 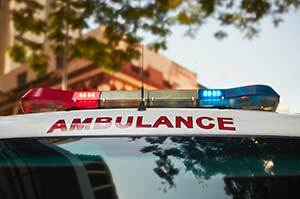 In the spring of 2015, a former employee of a Massachusetts ambulance firm filed a claim alleging that the owners repeatedly violated the False Claims Act between 2005 and 2013. (The owners fired her in 2013.) The case is still open. Medicare whistleblowers can receive payouts of 15 to 30 percent of the penalties paid if the suit brought under the False Claims Act is successful. If you have knowledge concerning fraud against the government, including Medicare or Medicaid fraud, an experienced whistleblower attorney like the ones at the Louthian Law Firm can assess your case and help you file the necessary disclosure statement. In some instances, the government will intervene (take part in your lawsuit). For a free, confidential evaluation of your case, call the Louthian Law Firm today at (803) 454-1200 or fill out the online consultation form. Louthian Law Firm. Seeking truth. Securing justice.